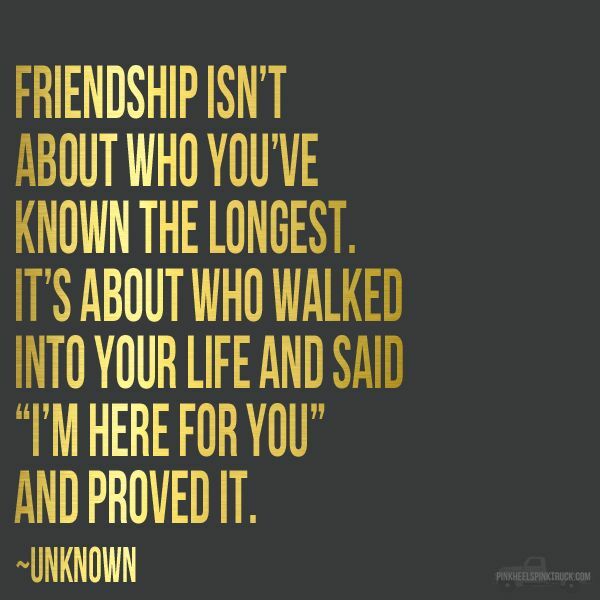 In a prior blog, I wrote about "Authentic and Synthetic Friendships." I explained the difference between quality and quantity regarding friendships. But looking back now, I failed to realize that I left out one important part which are healthy friendships. I have struggled with friendships over the past five years of my life because so much is changing. I have said before that I have always been a well known person, but I never been the type of person that had a lot of friends at one time. I always had one friend, usually someone I consider my best friend, and that would be the only person I would talk to and hang out with. I am just now realizing that I was creating a problem for myself that would revel itself later down the road of life. Sometimes we get complacent, and we don't like change, or worse, we fear it. In High School, I had this one best friend named Adrian. Adrian and I were night and day, however, I considered her a sister. Adrian and I had different tempers, beliefs, styles, and could never agree on much, but we just "got" each other. I remember this one time, this girl tried to fight me, and Adrian randomly popped up and tried to fight her! It has been almost seven years since that incident happened, and I forgot all about it until I talked to Adrian a few months ago. She said, "here's my thing. Fight someone who wants to fight." Adrian knew I was not a fighter, and she knew I had too much to loose. We were always there for each other. The four years of High School quickly went by and before I knew it I was off to college and Adrian was off to join the military. 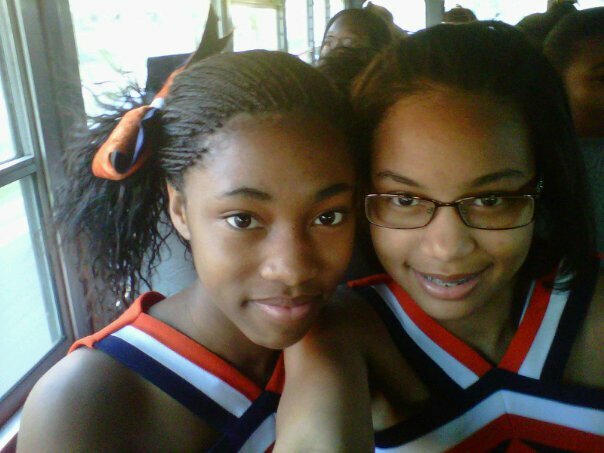 Adrian and I on our way to the Maury Homcoming Varisty game in 2010. 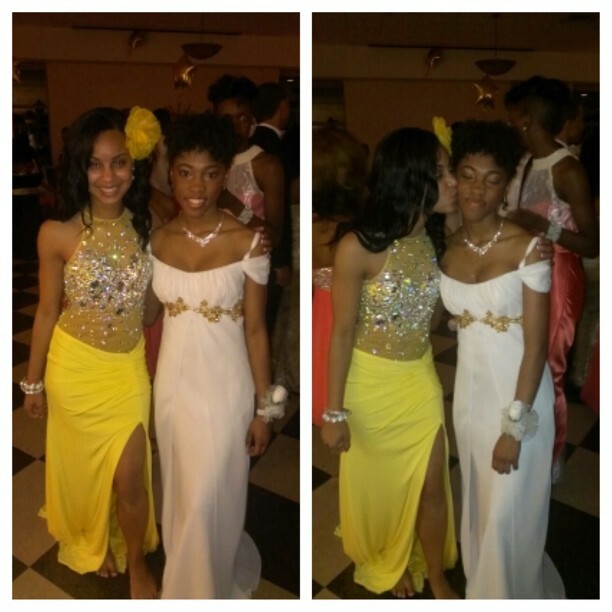 Adrian and I at prom in 2013. Adrian and I remained in contact, but we rarely saw each other anymore due to me moving into a college dorm, and her going to school. It also didn't help that because I was a freshman my car was not allowed on campus. However, my roommate would become my next best friend. My college best friend is actually from New York. Darah and I had many issues the first semester, but we became great friends the next semester. Darah is super sweet, and is the clone of myself. I remember coming home and telling my mom the things Darah did that got on my nerves and my mom responding by saying, "Asia, you do that." Darah's mom also thought we were so alike that she said it was scary. 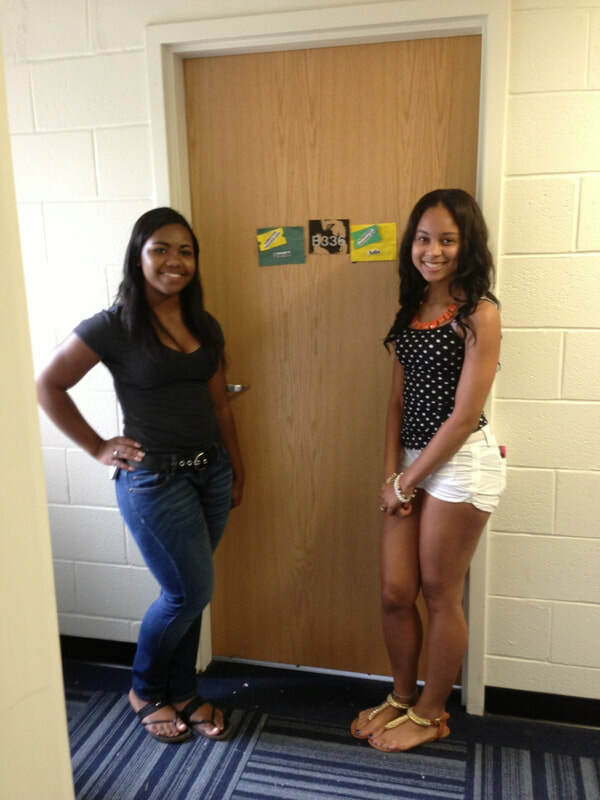 Darah and I on move in day in 2013. Darah and I remained close throughout college. After our freshman year of college, Darah transferred to be closer to home. She went and graduated from The University of Connecticut. 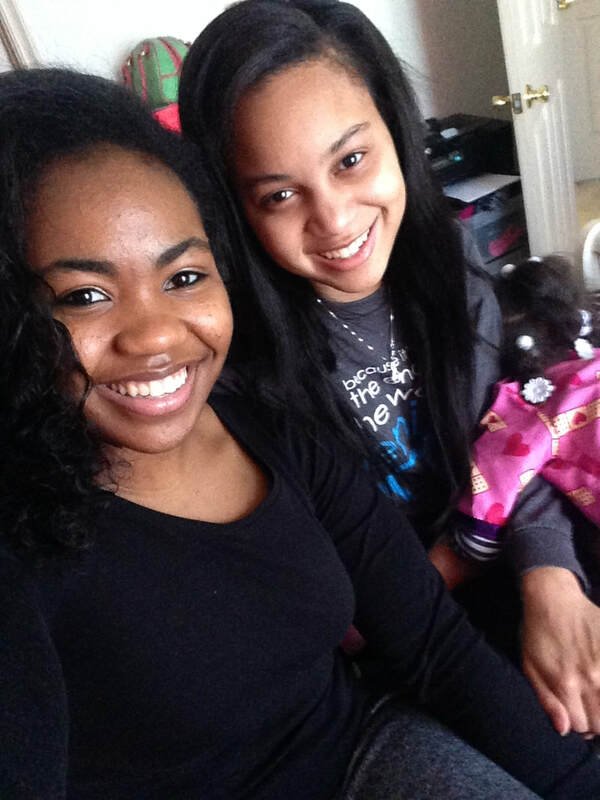 I remember being super sad that she was not at ODU anymore when I returned for classes in the fall. Again, I had a lot of friends I would go to parties and events with, but not someone at the time I would consider a friend. Yes, she was always a text, call, or facetime away, but she was not next to me which I was use to. Darah even came down to visit me in 2014. That time was amazing because I had just began my career as a On Air Talent in radio, and it was super cool to have her there to support me. This is the last pic Darah and I have physically together. This was when she visited me in 2014. Isolation Is NEVER The Answer. Around the time of 2014, Adrian had just graduated from Military Boot camp Traning (I think), and Darah was away at another college. I had friends constantly around, but not to the level of the place that Adrian and Darah previously shared. I have always been the type of person to label a person in my life and that's where they stayed. I had labeled my "friends" in categories such as party friend, work friend, and classmate friends. In other words, associates. I would never let another person get but so close to me because while I was transitioning in my life, I became super paranoid. I realized that a lot of people saw me as a "come up" and not as a friend. People would literally try to be my friend just because they thought I had connections to get them opportunities on the air. People would try to use me to get tickets to concerts, you name it. I learned that some people only want to hang around you because they want to say that they know you to gain some of your notoriety. After some of those experiences, whenever anyone would try to get close I would keep my distance. It also didn't help that as time went on I got busier and busier and did not want to talk to anyone. It would literally feel like communicating to people became a chore. From Interviewing people, talking on the air, hosting events, networking, then working as a cashier at a part time job, and then being a student and having to talk in class became very tedious. In my off time I wouldn't talk to anyone. It would take me days at a time to return texts and calls to my friends, and that's if I returned any at all. Today, actually I am doing a little better with communicating with my friends, but I admit I can do a lot better with reaching out to Darah more. 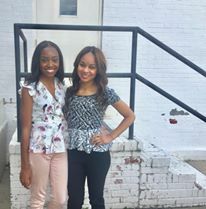 Kiahnna and I met while I was an Intern at WAVY TV 10, while she was working as a Production Assistant. During the newscasts breaks, Kiahnna and I would always go in the production rooms and would talk about everything. We talked about boys, relationships, career goals, people, literally everything. 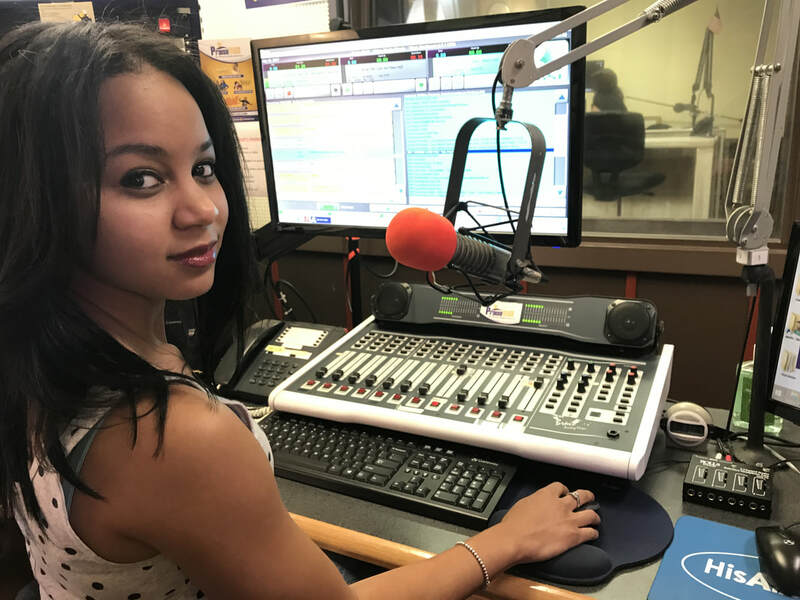 When my Internship ended I rarely kept in contact with Kiahnna and a year later she went on to start her career as a News Reporter in Myrtle Beach, SC. Kiahnna and I of course kept in contact, but I wouldn't have considered her my best friend yet. It wasn't until I gave my life to Christ May 2016. I uploaded a YouTube Vlog about it, and then she reached out to me and she told me she wanted me to help guide her through her spiritual journey. Kiahnna and I actually started speaking more everyday after seeing each other at our Homecoming in 2017. To my luck, Kiahnna returned home and is now a News Reporter at WAVY TV 10. 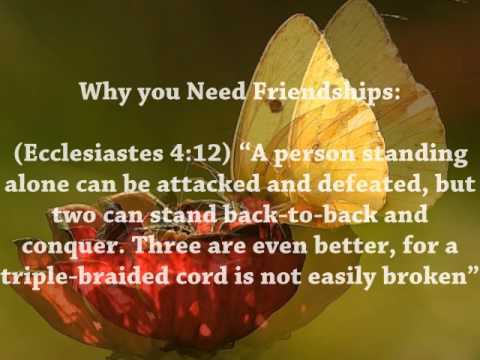 With her coming back, I am learning now what it means to be a friend, and to be held accountable as a friend. I do admit that I do need to step it up more with Darah and Adrian, even if i feel we are all living separate lives. I now know that I cannot continue this pattern of getting attached to one friend, and then falling off with the other simply because they are not here physically in front of me. Believe it or not, healthy friendships are necessary in life. It is such a blessing that I have people who I can be absolutely open with, and that truly wants what is best for me without gaining a thing at all. Friendships can cure any void, and can help to keep you motivated. While I was isolating myself from everyone, I felt I was alone, and that I had no one I shared a connection with anymore. I felt I would be a burden to all my friends, when that was not true at all. I was creating scenarios in my head that did not exist. Isolation also led me into a depression and any type of depression is not healthy at all. In other words, Isolation is NEVER the answer to anything at all. Check on your friend(s) at least once a day even if they don't respond right away. Pray for your friend(s) even when you're not speaking to them daily. Take turns speaking about what's new in life. Take the time to truly be there for THEM, when they are in need. Even if it is a phone call or a quick lunch. Support your friends! Keep up with their lives and let them know you are proud of everything they're accomplishing. Even if they arn't accomplishing much, help them understand that their time is coming! Assume that they are okay if they are not responding right away to your calls or texts (You don't know what battle they are secretly facing that they are not telling you). Fall out of contact because you think that you live separate lives and have nothing in common anymore. (Darah lives in a completely different state, and Adrian just had a baby and is currently living across the U.S. but that does not stop the bond that we formed as friends). Talk over them while they are venting. They may only be expressing their deep emotions to you and only you and need your support more than ever! P.S. For everyone that may be reading this, I hope this touched you. Feel free to leave comments or questions down below! Here, I will share my thoughts on certain topics or whatever is in my heart. .